If you would still like to purchase a copy, please call us at 480.730.0205. CAN'T MAKE IT? CHECK OUT "EDDIE TRUNK BOOK WEEK"! Scroll down for details. Legendary disc jockey Eddie Trunk, host of VH1's That Metal Show, visits with Eddie Trunk's Essential Hard Rock and Heavy Metal, Volume II, the sequel to the bestselling first volume of the same name. Trunk, "one of the greatest true rock-and-roll fans I've ever met" according to Slash, picks up where he left off by featuring 35 new bands and sharing his passion for all things metal. Complete with his favorite playlists, band discographies, memorabilia, trivia, and more than 200 color photographs, this new book combines brief band histories with Trunk's unique personal experiences and anecdotes. Featuring a diverse lineup, from Marilyn Manson and Ace Frehley to Lita Ford and Whitesnake, Volume II salutes all those who are ready to rock! TICKET (admits two) is free when you purchase Volume II from Changing Hands Bookstore. EDDIE TRUNK BOOK WEEK. GET YOUR BOOKS SIGNED BY EDDIE TRUNK. We'll ship anywhere in the United States and to most international locations! To order, click the "Add to cart" link below. Eddie Trunk will sign books when he appears at Changing Hands on October 2. (Please include the name of the person to whom you'd like your book personalized in the order comments.) Please allow 2-3 weeks for delivery; more for international orders. In-store pickup is also available. Orders can be taken over the phone as well, during our regular business hours, at 480-730-0205. Event attendees: If you plan to order online, please indicate in your order comments that you plan on attending the event and require a ticket with your book purchase. Your book and ticket will be available for in-store pickup starting Tuesday, September 24. Sorry, we cannot ship books and tickets prior to the event; all attendees must pick up books and tickets in-store. 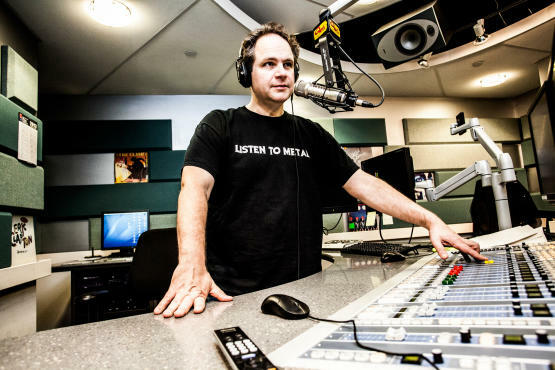 EDDIE TRUNK is the host of VH1 Classic's That Metal Show and is heard on two weekly radio shows: Eddie Trunk Live, which airs on SiriusXM Radio's Ozzy's Boneyard channel, and the FM-syndicated Eddie Trunk Rocks, broadcast live in New York City on Q104.3. He lives in New Jersey.